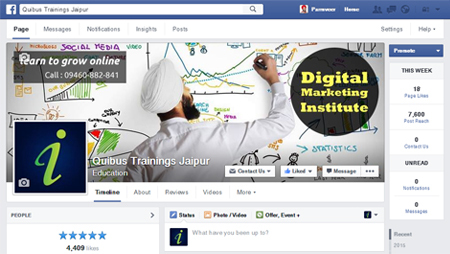 Want to Learn Facebook Marketing? Join our Facebook Training to learn, how to use Facebook as a professional and how to build strong profile of your business on Facebook. 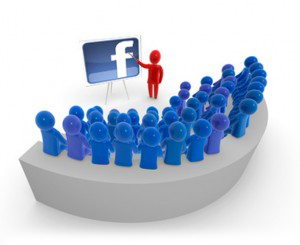 Let’s see, How we see Facebook and what can we teach you in our Facebook Marketing Course. Facebook is a hugely popular social networking service launched in February 2004 that allows you create a personal profile, add other users as friends, and exchange messages, including automatic notifications when they update their profile. Additionally, users may join common-interest user groups, organized by workplace, school or college, or other characteristics, and categorize their friends into lists such as “People from Work” or “Close Friends” or “Family Members”. Facebook was started in 2004 by 19-year-old Mark Zuckerberg when he was a sophomore at Harvard University. The website was originally called Thefacebook.com and was created to be a social version of the published “face books” that were distributed at Harvard to identify students. By 2006, Facebook was available to anyone over the age of 13 with a valid email address. In May 2012, Facebook held an IPO (initial public offering) on the New York Stock Exchange, becoming a publicly traded company. What is social networking? And how it works? Creating a Profile & Configuring Notification.